Amazon released a teaser for its upcoming Super Bowl ad today. 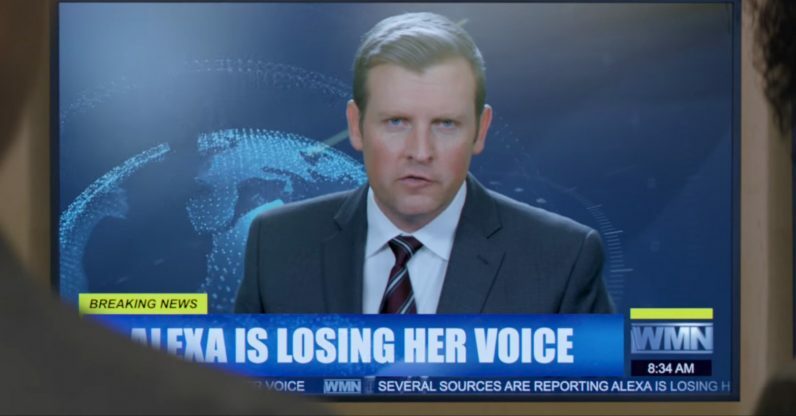 It’s less than 30 seconds, but presents an important question: What happens if Alexa catches a cold and loses her voice? Who replaces her? It’s possible that the full ad will just be a skit featuring some famous personality for a promotional tie-in. But maybe, just maybe, Amazon will allow you to add custom Alexa voices. It’s also notable the ad says there are replacements, plural. Besides, I’ve always found Alexa’s voice to be the most boring among the major voice assistants (sorry, Amazon), so I’d say it’s about time. Of course, maybe that’s just what Amazon wants us to think. Or maybe I’m reading too much into it. Guess we’ll find out more come Super Bowl Sunday.